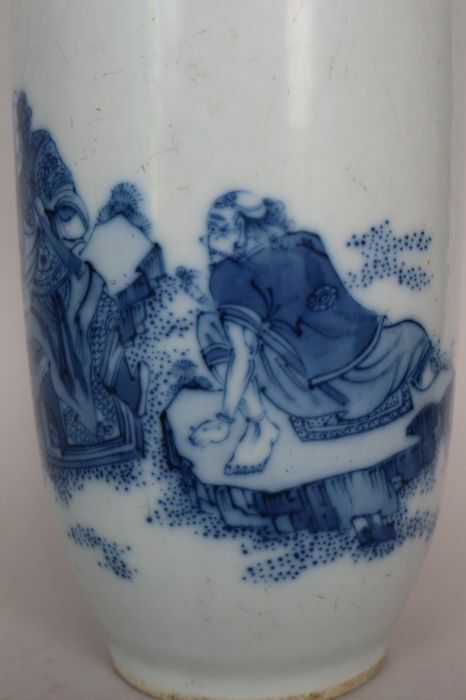 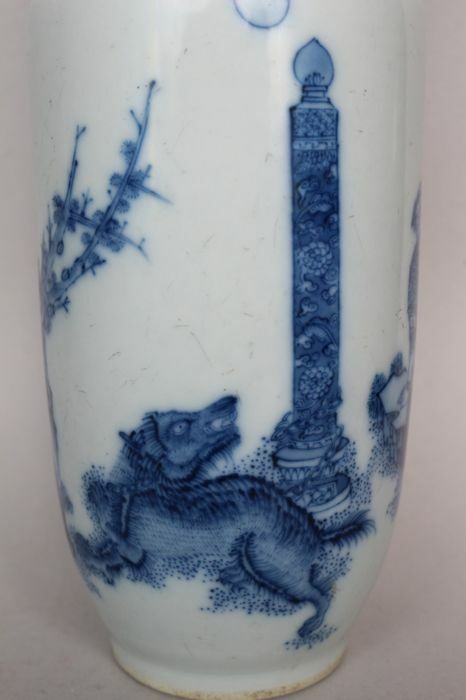 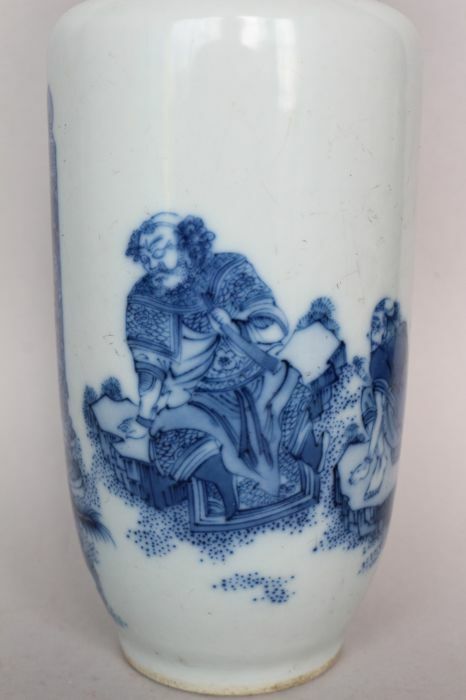 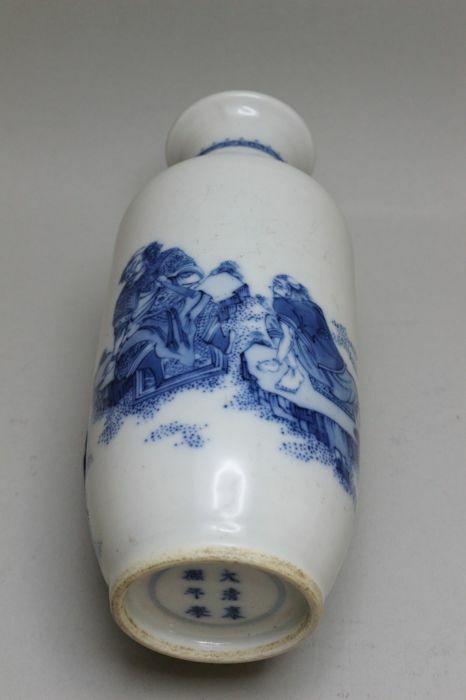 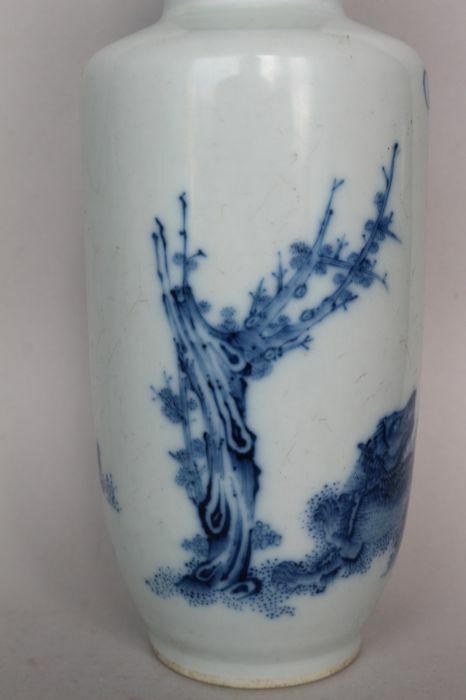 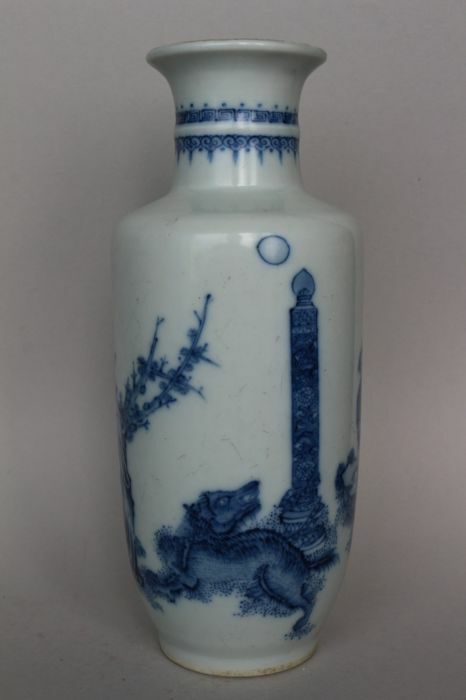 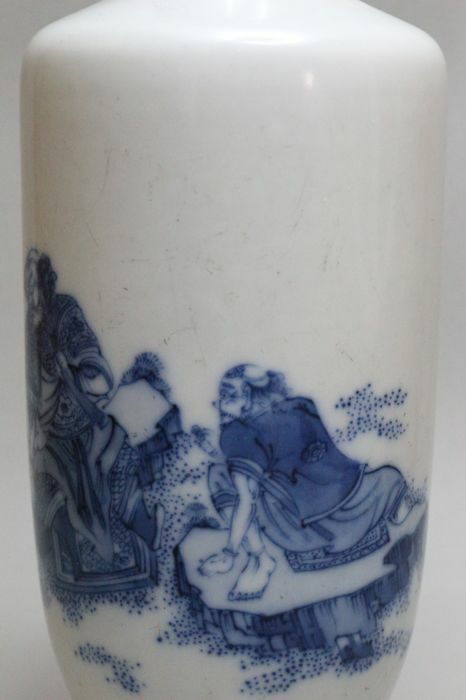 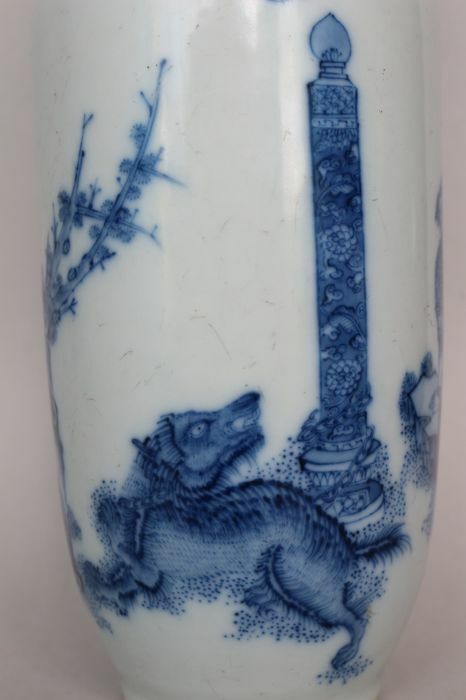 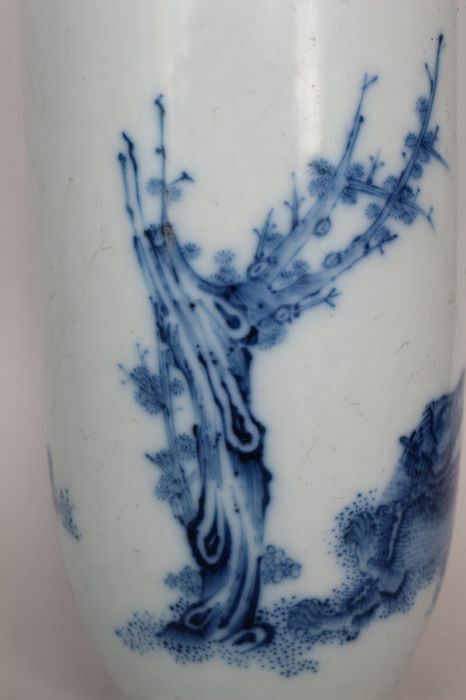 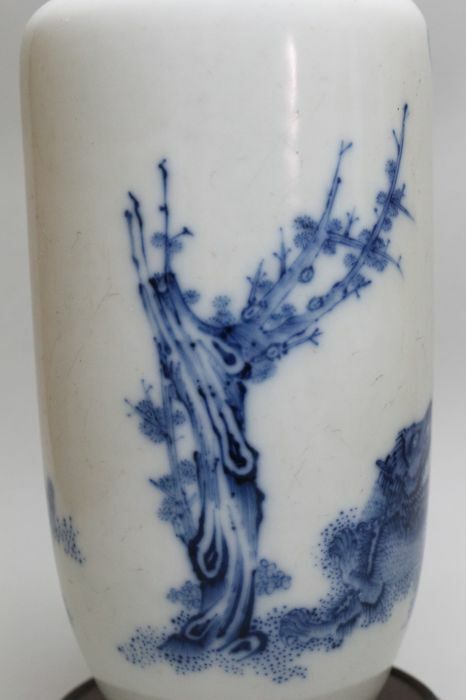 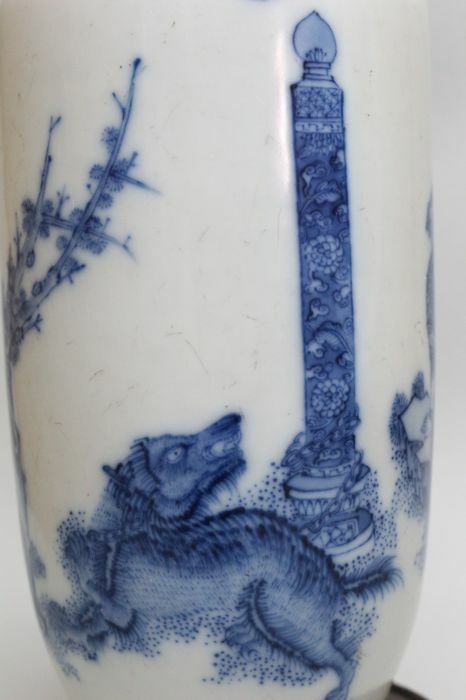 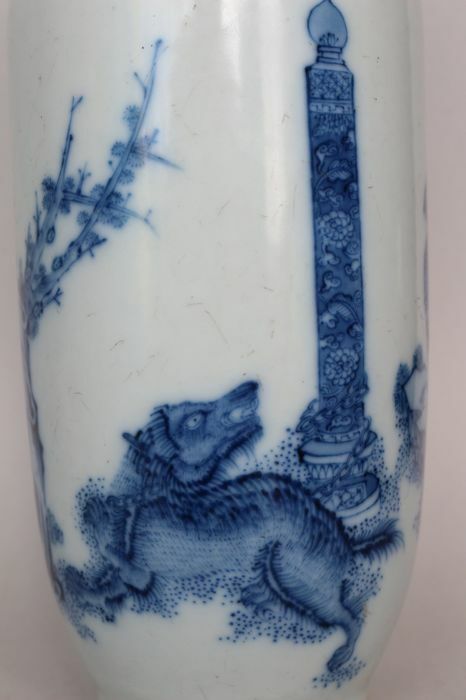 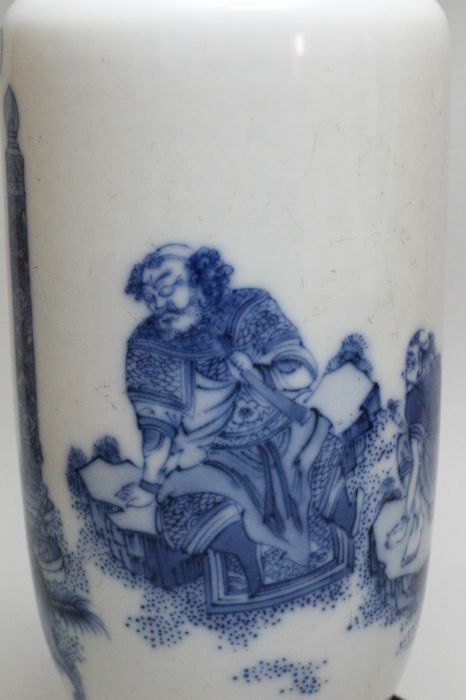 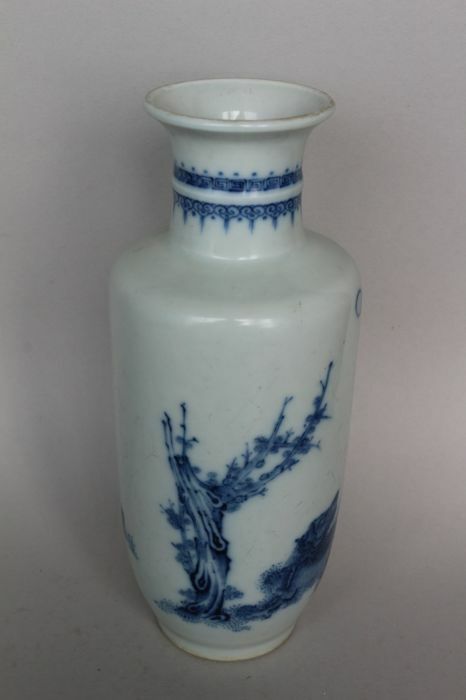 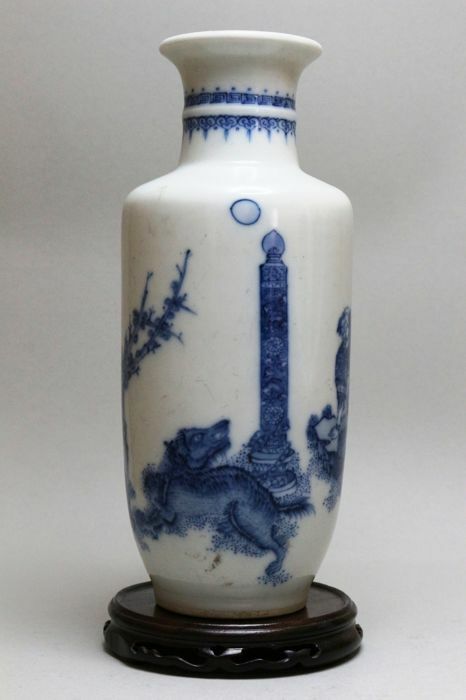 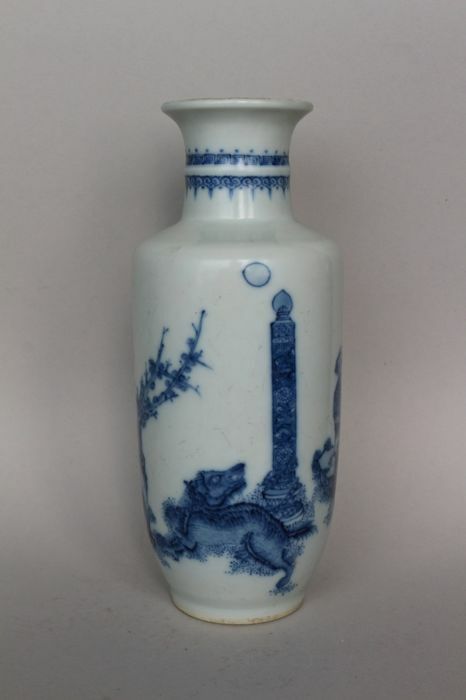 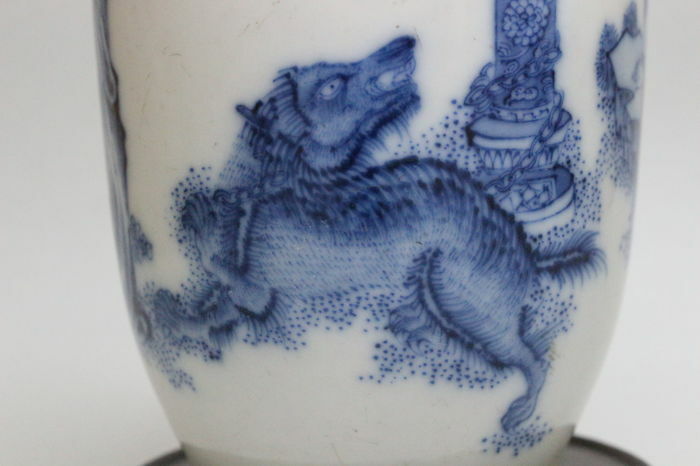 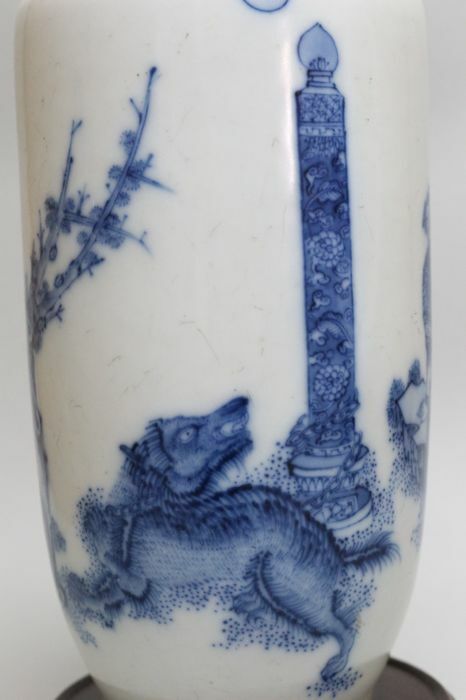 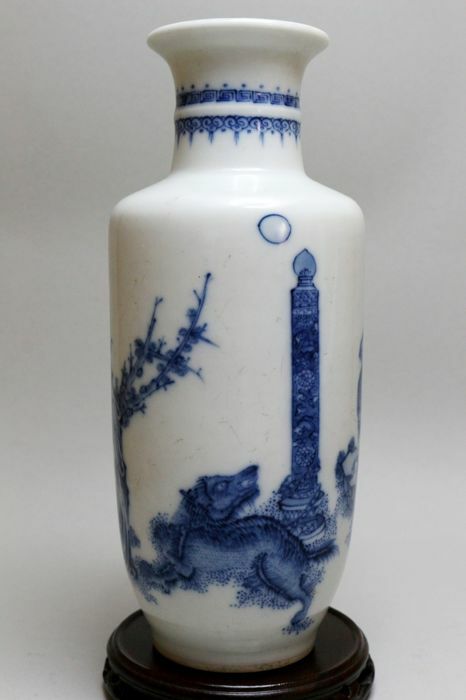 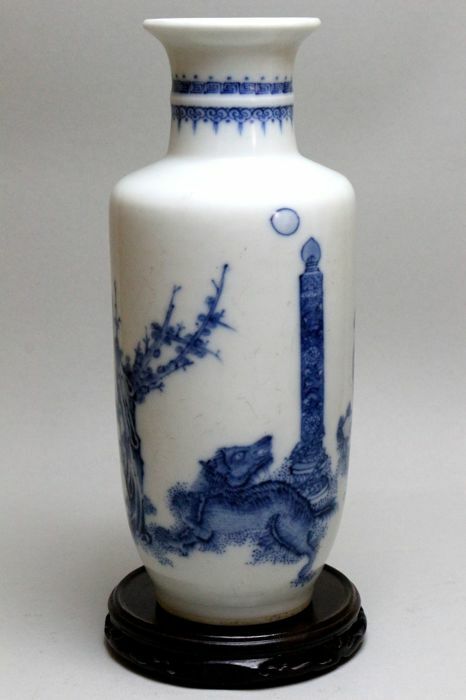 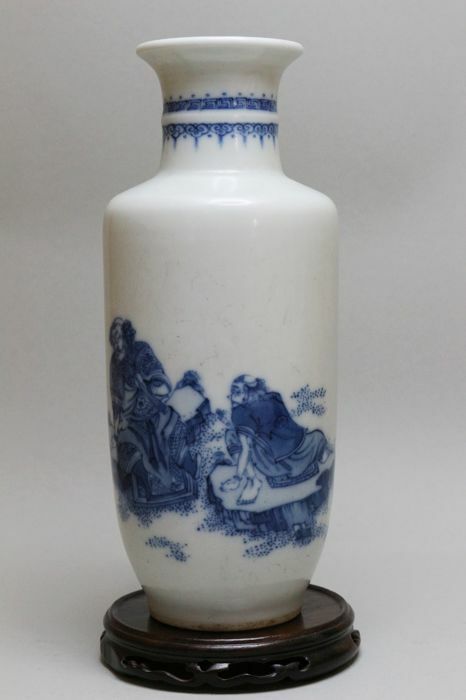 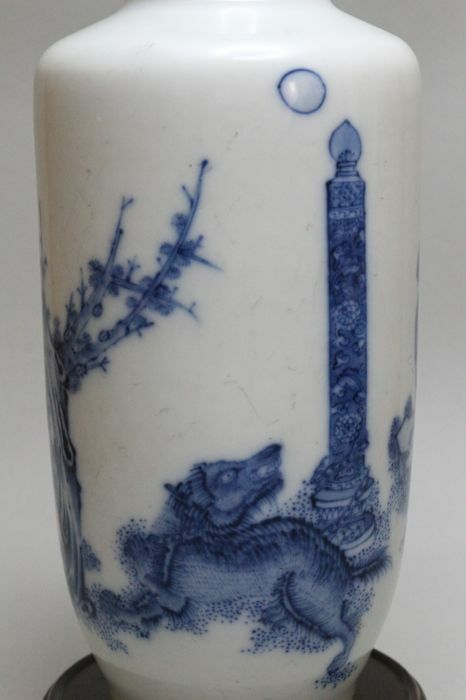 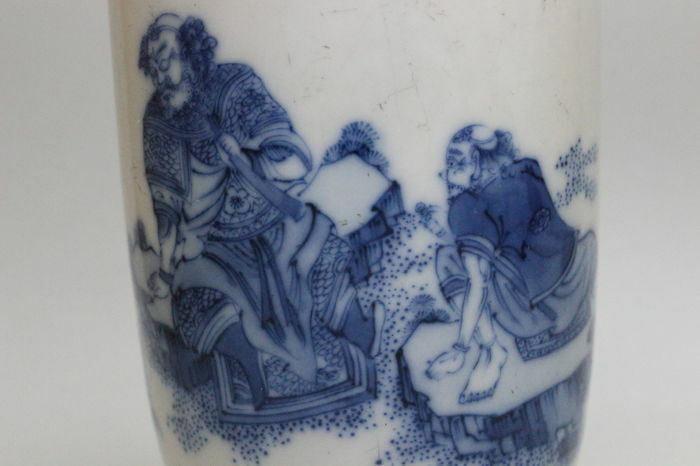 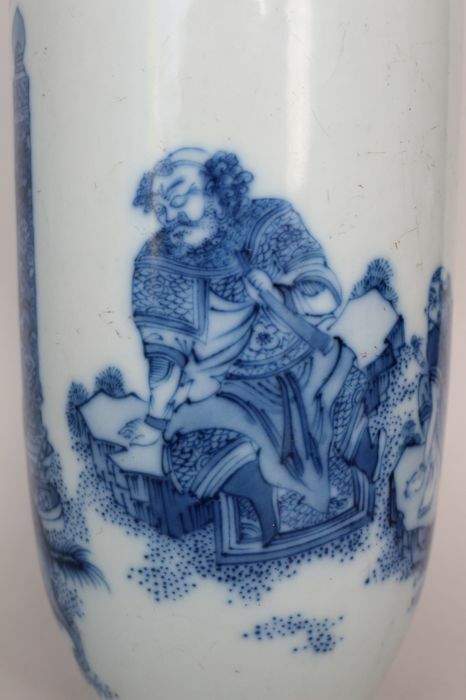 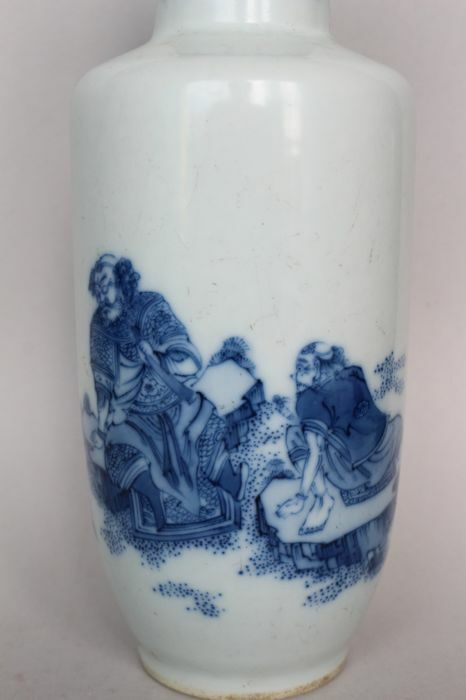 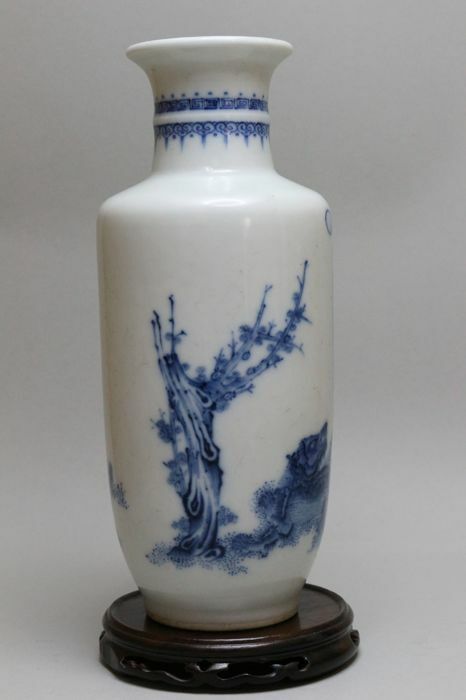 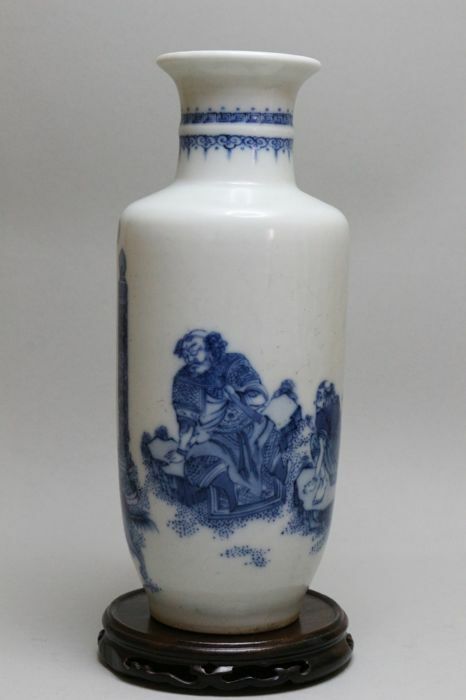 Chinese vase painted in blue and white with with figures or scholars on rocks under a tree trunk with a wild animal and a candle. 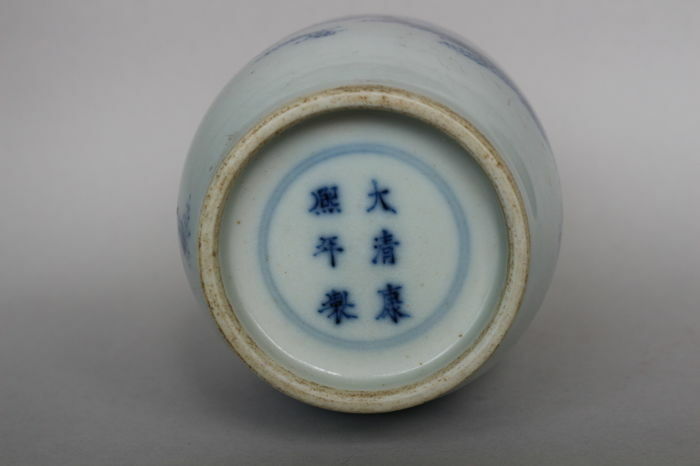 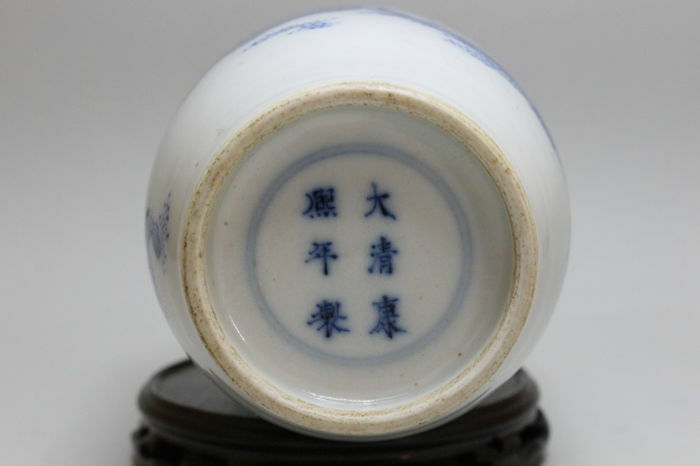 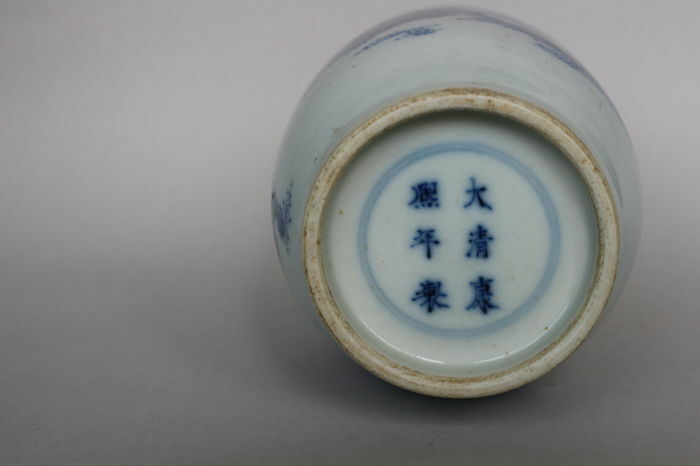 On the bottom a six character mark in a blue double ring. 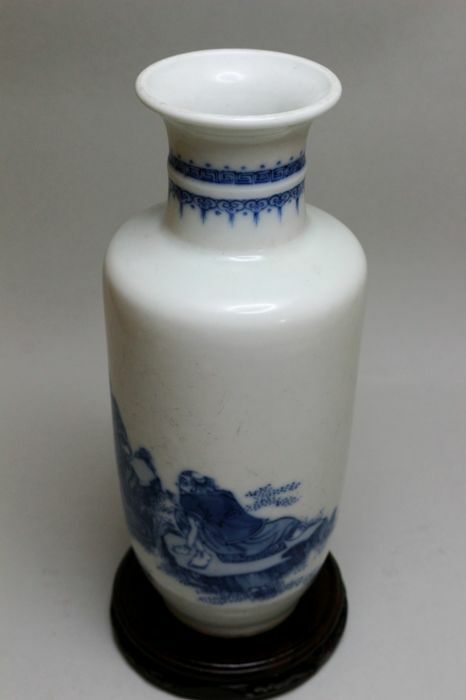 The vase may also be older. Please judge for yourself.